Startseite / PrestaShop Module / Administration / Daten Im-&Export / Export Pro - Products, Combinations, Orders, etc. 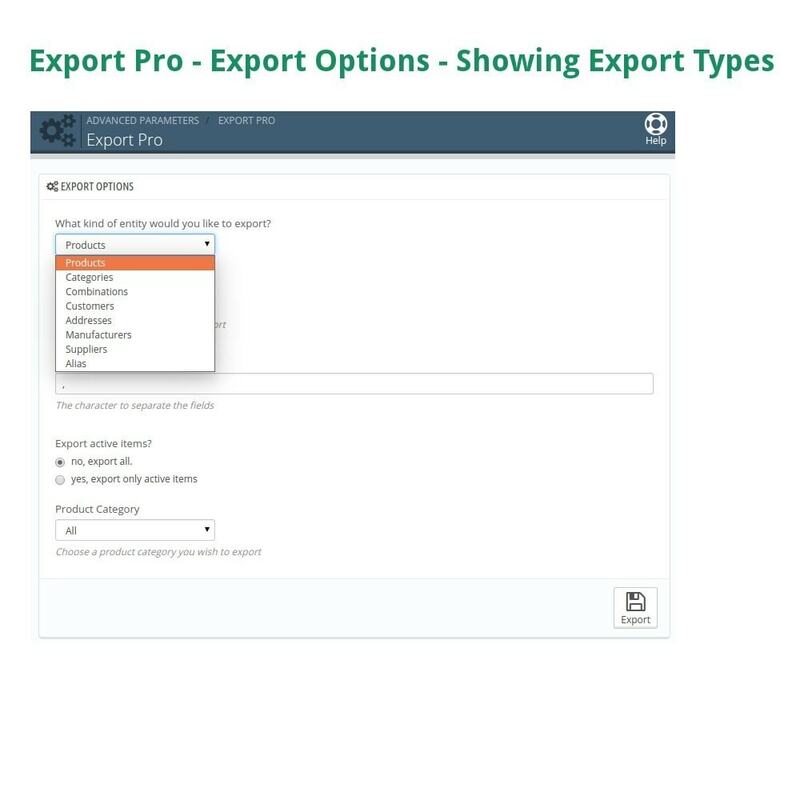 All of the above exports are matched to Prestashops import functionality as closely as possible allowing you to make bulk changes with ease. One click export to CSV file of Products, Product Combinations, Categories & Customers. Product Category Select for products export. 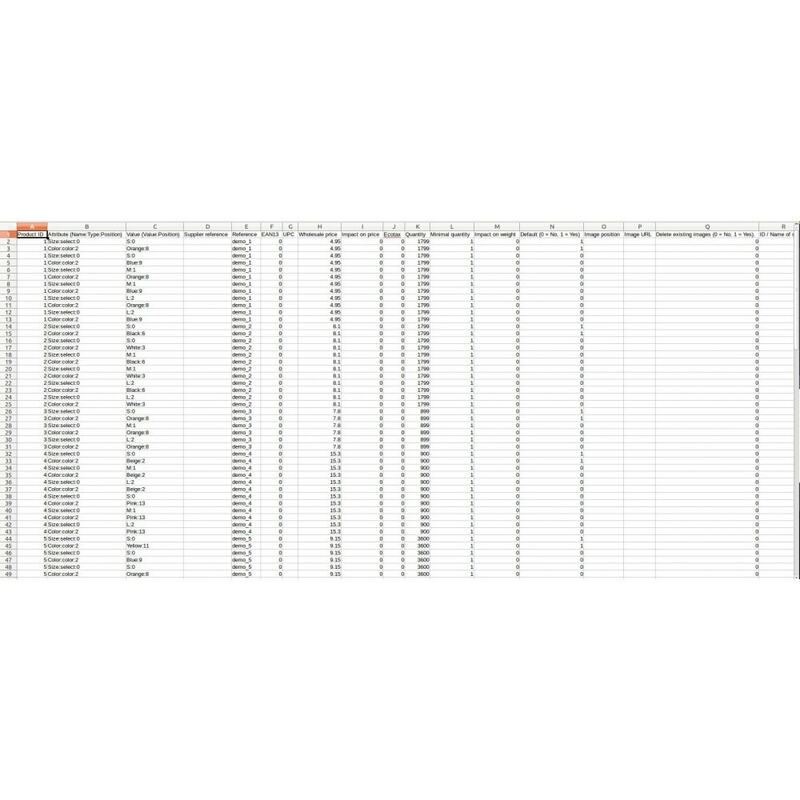 Delimiter of the CSV file. 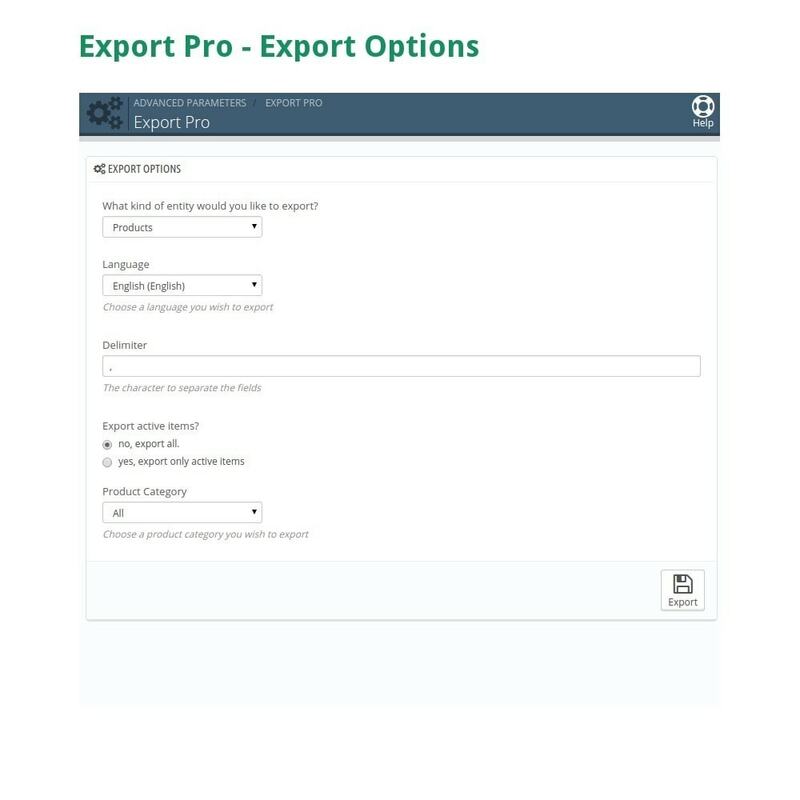 Once the module is installed it will appear in the prestashop admin menu "Advanced Parameters > Export Pro". No need to go to the module page to export your data.